Rollin' down the river with Proud Mary and her krazy krewe! : Noah is 4! Today my big boy is four years old. The big 4! For whatever reason I think 4 sounds so much older than 3, don't you think? I can't believe this fall Noah will be going to big boy school all day. Time is really flying by. 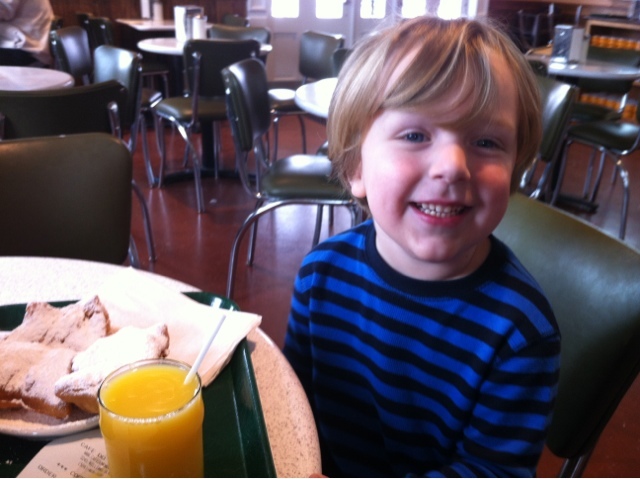 This morning I took Noah for a special birthday breakfast, beignets! Noah loves licking up all that powered sugar. Oh the joys of being a little boy with sticky fingers. 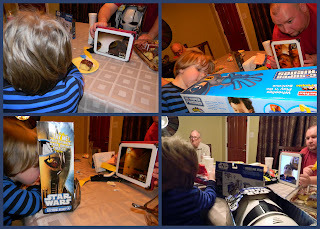 Since Noah's birthday party isn't for another 2 weeks I wanted to let him know that today was indeed his birthday and that he could open up our presents as well the presents from my parents and my sister. Noah had a request for vanilla cake with chocolate frosting. 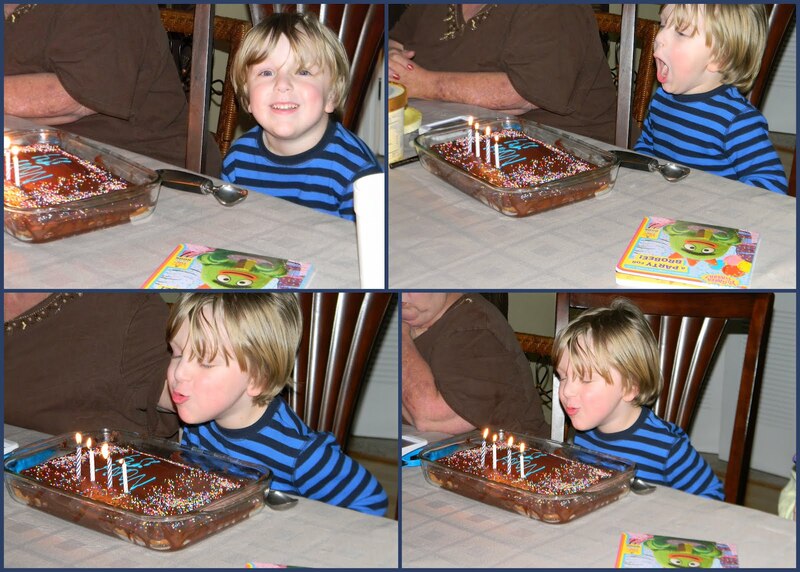 He had such a hard time blowing out the candles, it was really too cute. While Noah was opening up his presents, his comments were just priceless. "BATMAN underwear! Are you serious? You've got to be kidding me! I love Batman!". Needless to say Noah was very impressed by the Batman underwear he received. It's amazing how fast he can change from his obsession of Star Wars (which is why we had Star Wars invites) to now him playing with Batman 24/7. A highlight of the night was facetiming with my sister Robin and her kids. It was a lot of fun to be able to share the night with them. Noah had a blast showing Deuce his new Star Wars masks while Deuce showed Noah his Darth Maul mask (which really kinda freaks me out!). I can't wait to see where our 4 year old journey takes us this year. So far it seems to be filled with Nerf gun fights, Star Wars masks and Batman! I think it's official to see that Noah is no longer my baby but my big boy.